Oak trees are our most common native tree. They host hundreds of species of insects because they’ve had the time to develop their relationships over thousands of years. Oaks also have another set of relationships which is less visible. Underground, hidden from view, there are microscopic associations with many different species of fungi. The microscopic threads of the underground fungal growth, the hyphae, grow inside the roots of oak trees, joining them together in a vast interconnected network, about which we know very little. Who benefits? What gets passed between the organisms? How big is the fungal growth underground? How do the different species interact at different times of year? 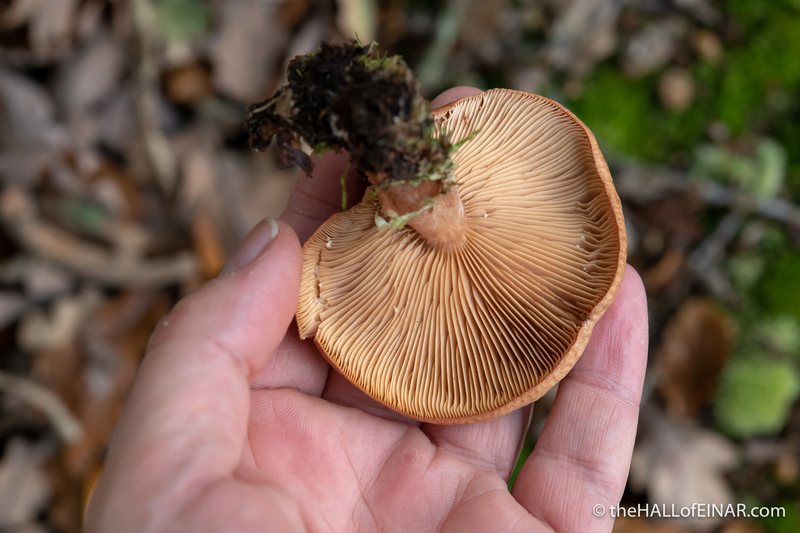 Every autumn, as cold weather begins, this vast fungal network stirs into action and begins to pass huge quantities of nutrients and energy to fruit in a spectacular but often overlooked display. 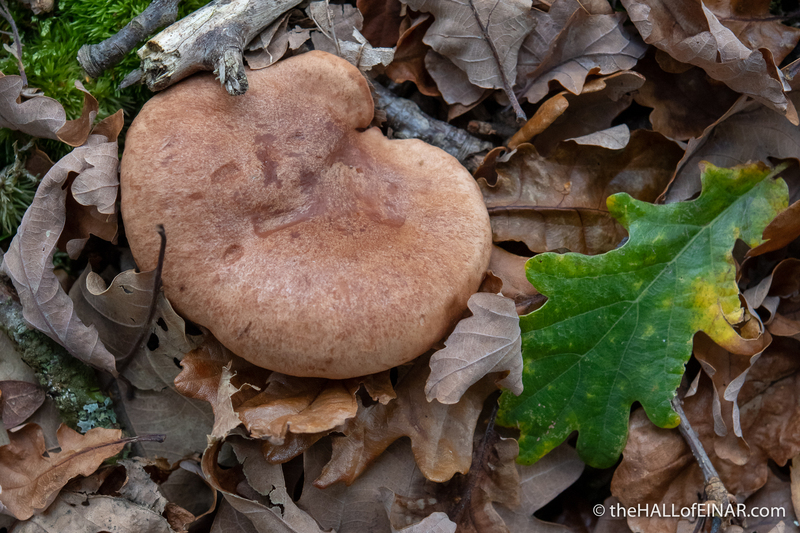 It used to be called the Oak Milkcap, but its name change was prompted by its distinctive smell of bugs. 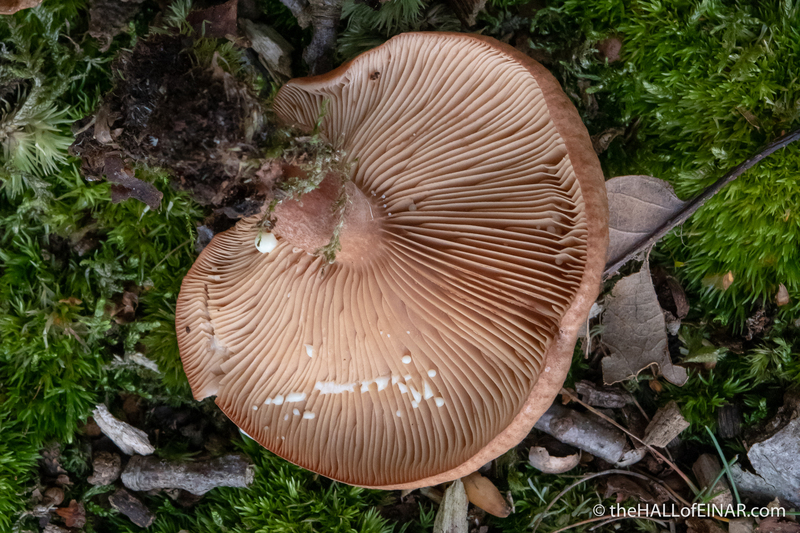 That’s where the name Lactarius originates. 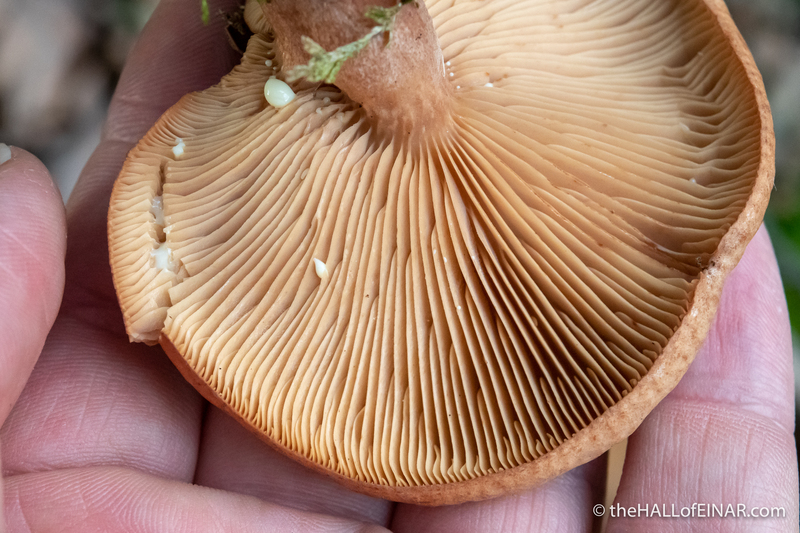 I run my nail across it and in just a few seconds, droplets of ‘milk’ have appeared on every one of its damaged gills. The more you stand still the more you see.